McLean VA (July 25, 2018) – Gershman, Brickner & Bratton, Inc. (GBB) is pleased to announce that Kate Vasquez has been promoted to the position of GBB Project Manager and that recent graduate Paige Davis has joined the firm as Consultant I.
Ms. Vasquez, who joined GBB in 2012 as a Senior Consultant, has 16 years of experience in recycling, solid waste reduction, and solid waste management both as a consultant and for public-sector entities. At GBB, she has been involved in projects aimed at increasing diversion, expanding and encouraging program participation, improving collection operations, and all aspects of solid waste planning. 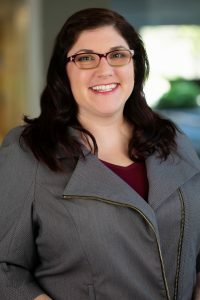 Prior to becoming a consultant, she spent 10 years in the public sector, at the Division of Solid Waste Collection and Recycling of Fairfax County, VA, and the Office of Solid Waste Management of Loudoun County, VA, with a focus on recycling, solid waste reduction, and solid waste management, gaining valuable expertise in strategic planning, regulatory implementation, events planning, and public relations. Based out of GBB’s headquarters in McLean, VA, she can be reached at kvasquez@gbbinc.com or (703) 573-5800. Ms. Davis completed her master’s degree in Sustainability Management with a specialization in Sustainability Consulting at American University and is currently pursuing a Graduate Certificate in Environmental Assessment at American University. She also has a bachelor’s degree in Environmental and Sustainability studies with a concentration in Environmental Policy and Politics from George Mason University. 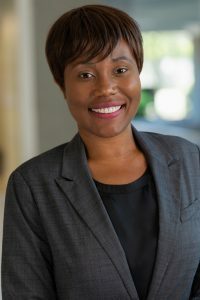 While completing her degrees, she gained hands-on experience in internships with the Corn Refiners Association as an Environmental Policy Intern; the Newport News Shipbuilding Company; the Department of Justice; and in a federal–work study position as a laboratory preparatory assistant (Mason’s Environmental Science and Policy Department). Also based out of GBB’s headquarters, she can be reached at pdavis@gbbinc.com and (703) 573-5800.